1. Laurel from Ducks in a Row made these cute little bean bags to help her little ones learn to read, sound out letter, and just have fun. If you visit her she'll tell you even more great uses! 2. Pam over at Threading My Way made loads of these boys shorts to send to needy kids in Cambodia. Such an amazing cause! If you want to learn how you can participate head on over to find out how. 3. Every week Rebekah from Potholes and Pantyhose links up fun and healthy drinks and snacks for you try. This week she shared a super easy and super refreshing drink to help you cool down. 4. 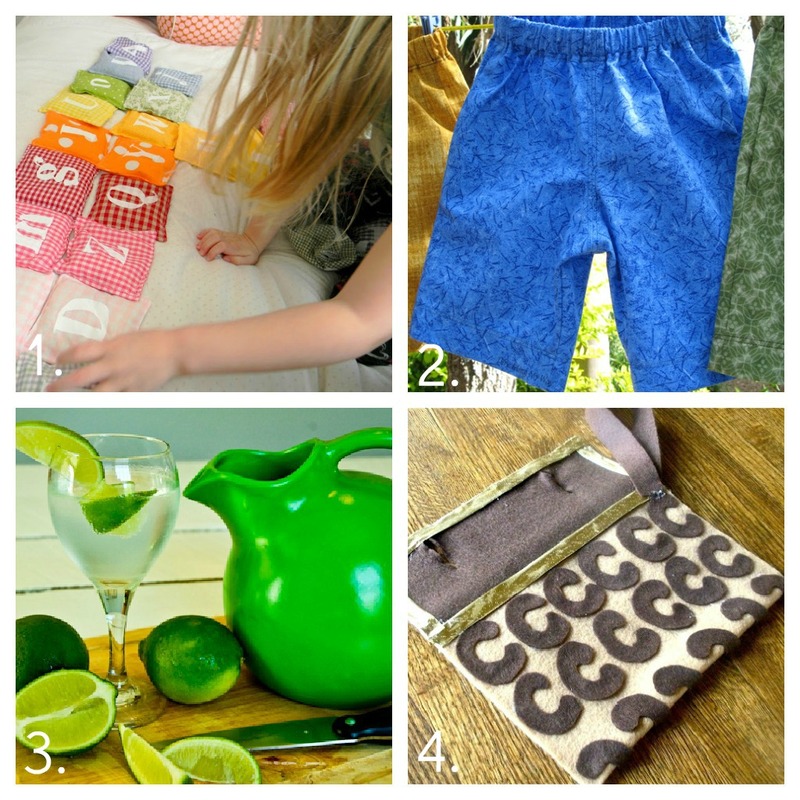 Kristin over at Make the Best of Everything shared a great tutorial so that you can make your own 'training purse' for any of those little girls out there who love to be stylish. Visit her to see just how easy it is to make! This week we have a sponsor and a giveaway! 1) Link up your project the same way you always do but make sure that your post includes the following line: "My entry into the Make it Great Monday party hosted by Appliances online and their best Range Cookers." The above steps are mandatory to be entered to win. 1) Tell me how you follow Etcetorize. 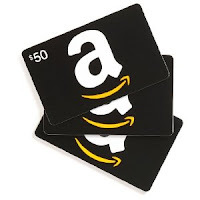 2) Tell me what you'll buy with the $50 gift certificate if you win. Party ends on Friday night and so do entries. 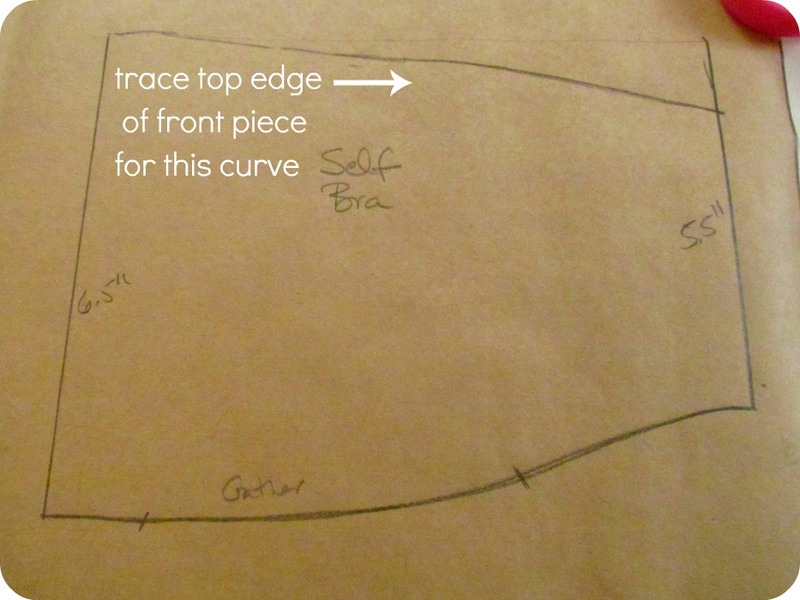 Okie Dokie, here we go...due to overwhelming interest (4 people, I think) here is the requested tutorial so that you can make your very own Summer Two Piece ensemble! When I whipped it up it was really a very simple project, and it still is in step by step form, it just seems like a bit much when it's all broken down. But stick with me and by the end you'll have a few outfits from these two simple little pieces. #1- I do not know anything about pattern drafting. This is just a series of some rectangles slightly adjusted, it's not couture, so please don't get your undies in a knot if I'm not doing something the way "it's supposed to be done"
#2-The measurements I'm using are to fit my body. As I've mentioned before, I'm very small busted (about a 36 A or B). I think most grown women are little more well endowed than I am (can you use that phrase for women?) so make adjustments to suit your body. If you're more 'bossomy' then make your pieces a little wider, if you're longer in the torso, make your pieces longer. It's not rocket science, just experiment. Think of mine as an extra-small and make your pattern bigger as needed. 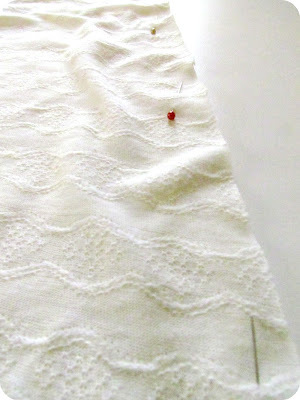 Just think about how store bought patterns look, they just expand by about 1/4" - 1/2" for each size up. 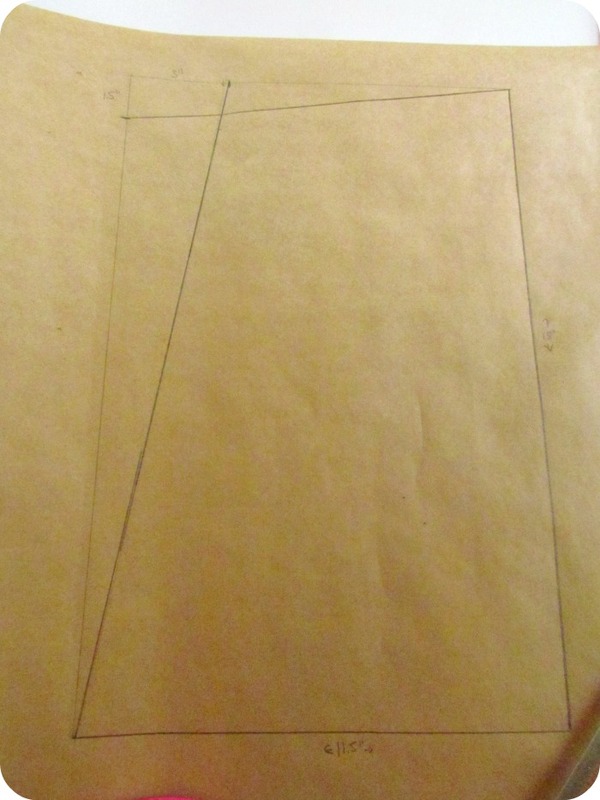 #3- I'm going to break this down into two parts, the pattern and then the sewing. It's going to seem long, but trust me, the whole process can be done in about an hour. #4- I'm writing this as if I'm writing for beginner sewers. If it seems too simplistic, consider yourself an intermediate sewer. Congratulations! 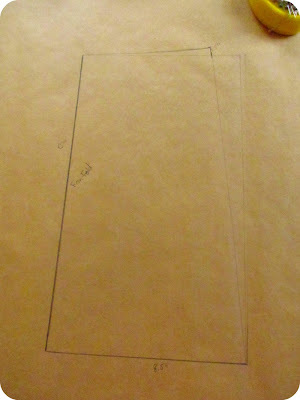 1) Start by drawing a basic rectangle. 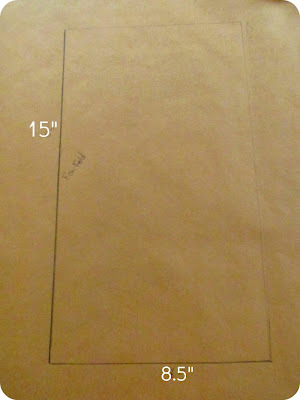 This should be the length of your top plus about 3" for seam allowance and bottom casing. 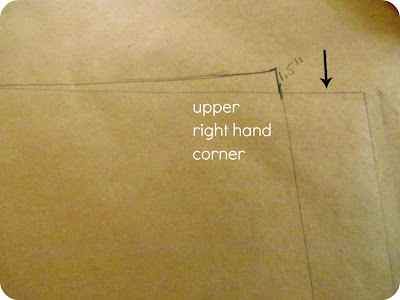 The width should be a couple of inches wider than your widest part of your torso for a loose fit. 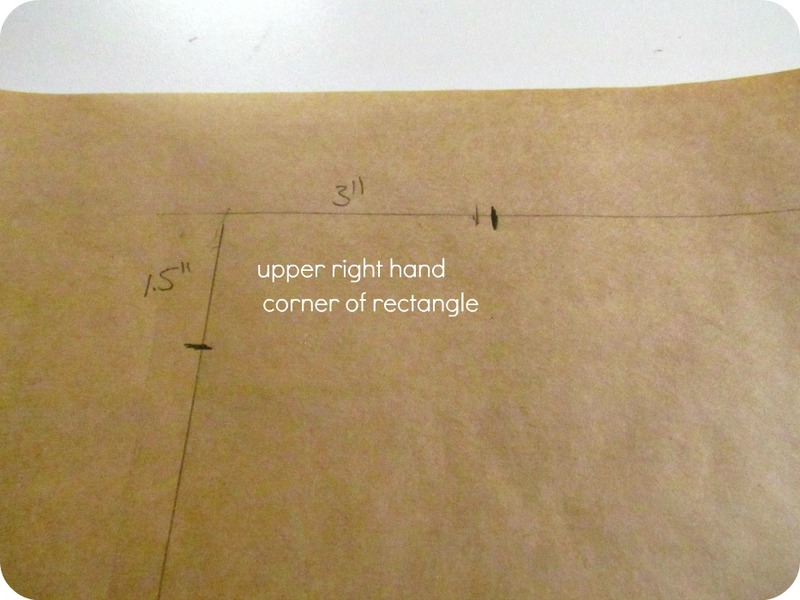 2) In the upper right LEFT hand corner (that should say LEFT below, sorry about that) measure and mark as below. 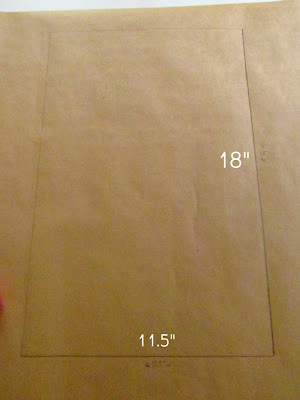 We'll use these measurements to soften up the edges a bit. 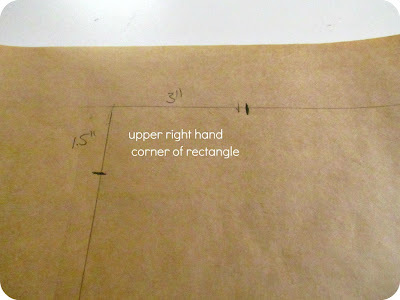 3) Extend your measurements to the corners as shown. These new lines will be your side and top edges. 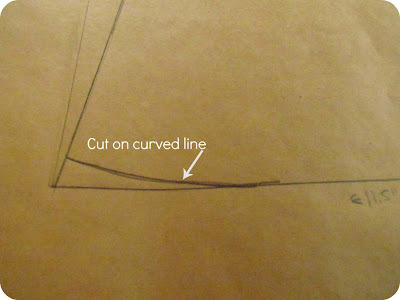 4) Round out your top edge by just free hand drawing a slight arc in the line. 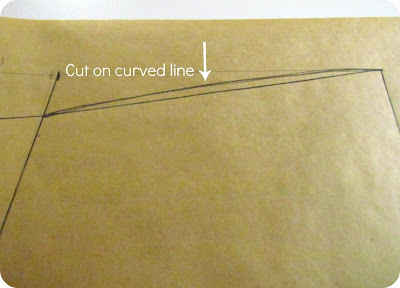 5) Do the same for the bottom edge. 6) That was your front piece. Now we need to make the back. It's almost the same but shorter because it sits lower on your back. 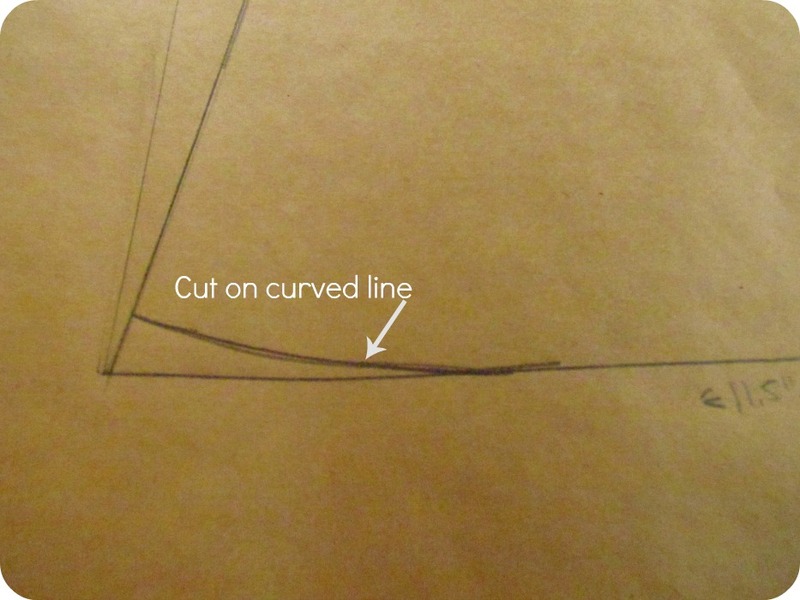 7) It's difficult to see, but basically it's the same idea, measure in around 3" from the RIGHT top corner, connect to bottom to create angled side seamand slightly curve up the top edge. 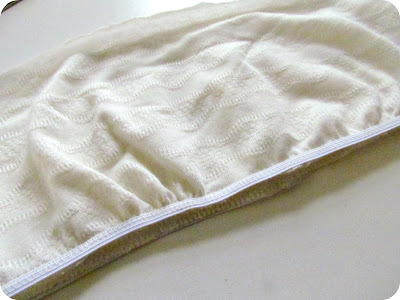 8) As a little extra something I added a lining or "shelf bra" inside. Tube tops are always better with this added feature and it's super easy to add. 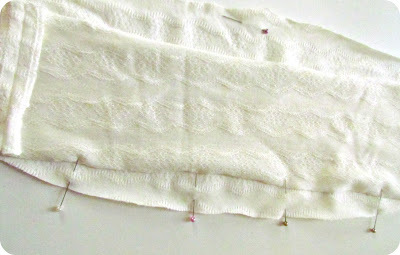 9) Don't forget to make the back of your lining (which I almost did!). I actually didn't even make a separate piece. 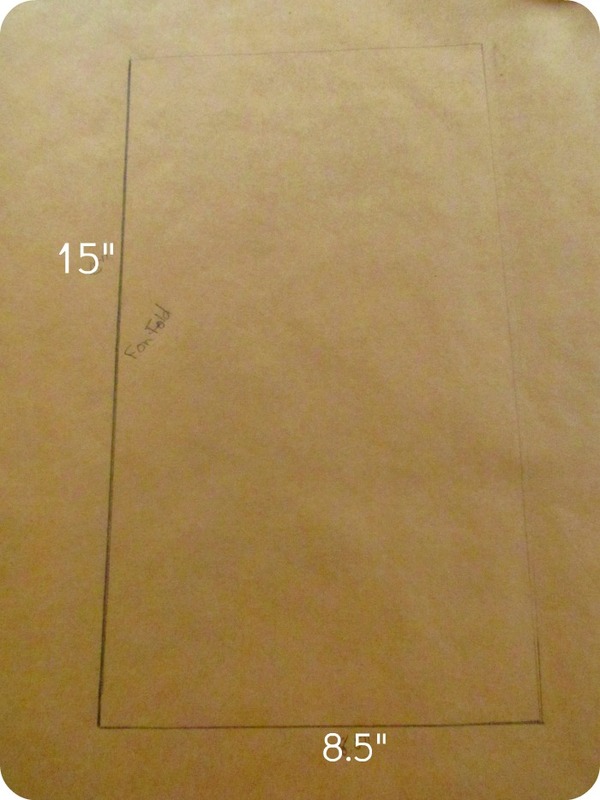 I just used the back that we already made and drew a broken line about 5.5" down from top. Once I've cut out my back I'll just fold this up and use it to cut my lining. OK, that's your pattern pieces. 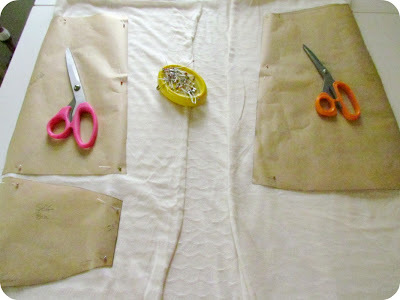 1) Cut out your pattern pieces on your fabric. CUT ALL PIECES ON A FOLD. at the top of your back piece. Don't forget to cut it out too! 2) We're going to make your 'bra-let' first. 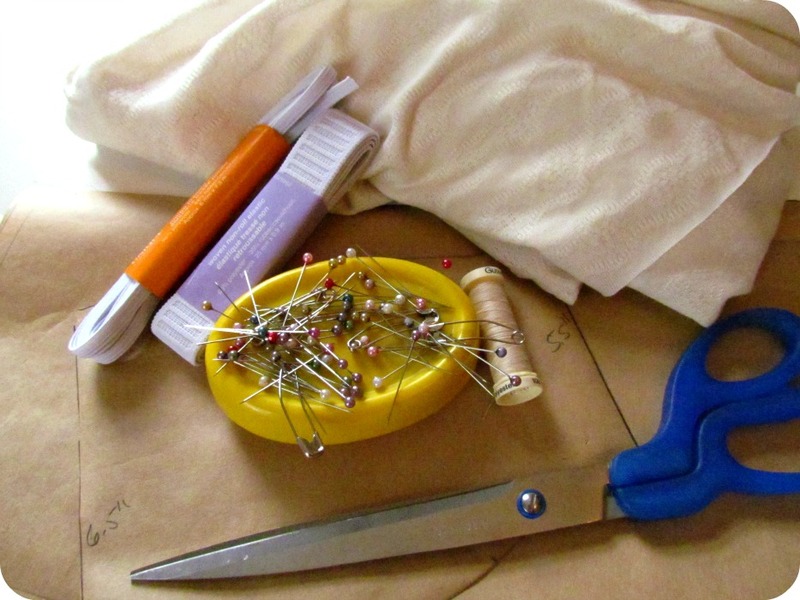 With right sides together, sew your side seams and finish with a zigzag or serge, whatever you usually do. 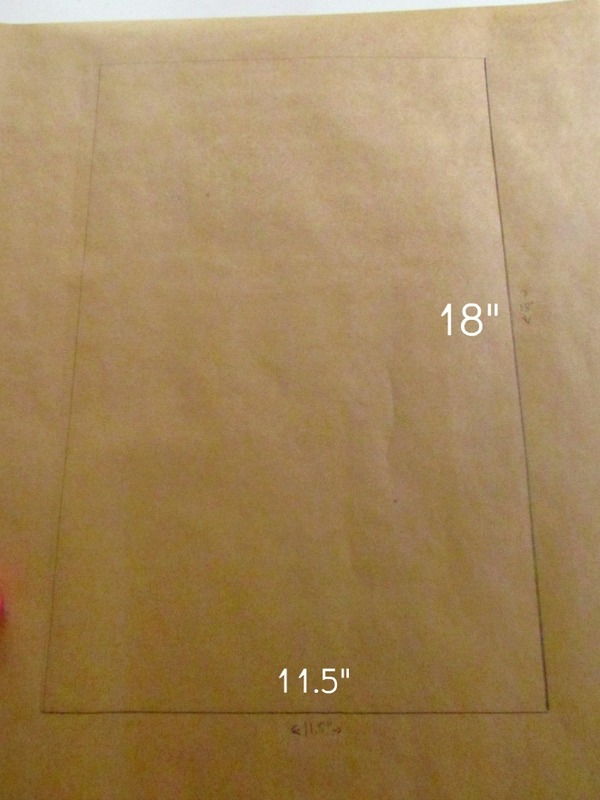 4) Measure about 2-3" from each side and pin. Measure another 4" or so from your first pins. 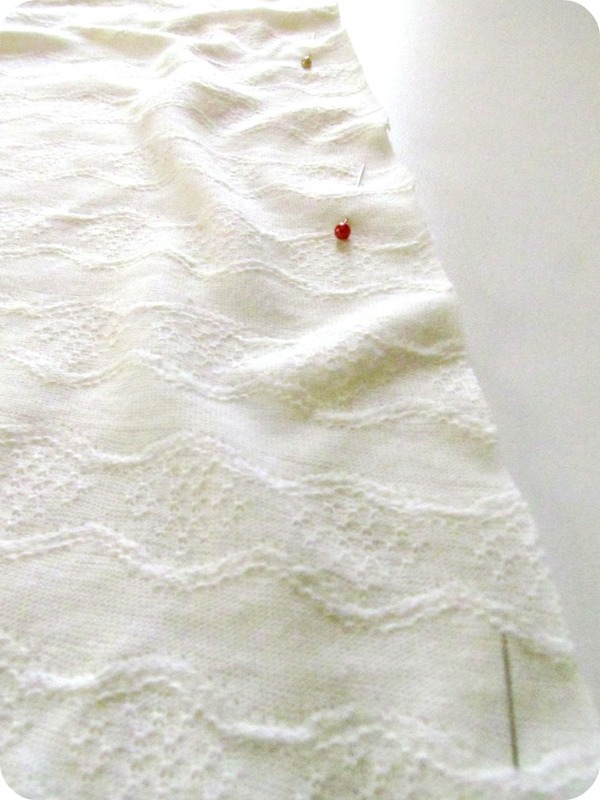 Baste long stitches in between your pins and gather slightly. 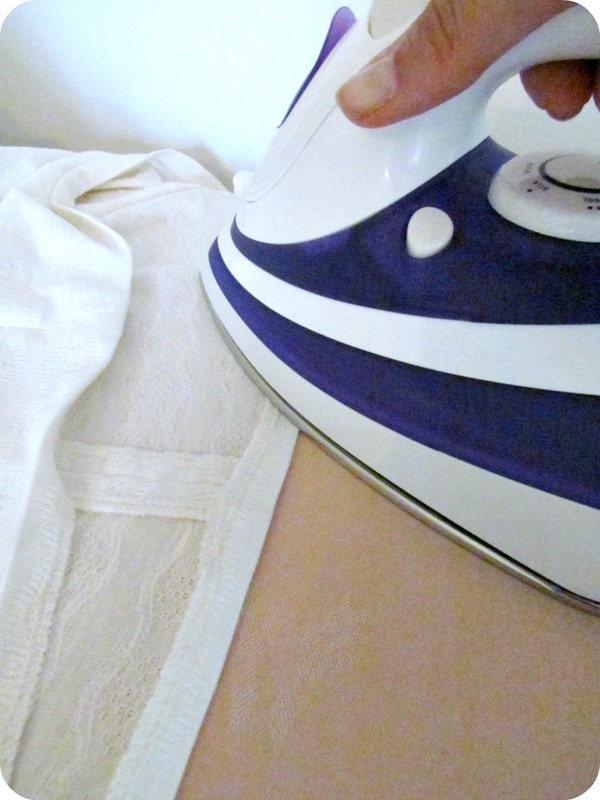 5) Measure a piece of the narrow elastic around your torso, under your bust line. 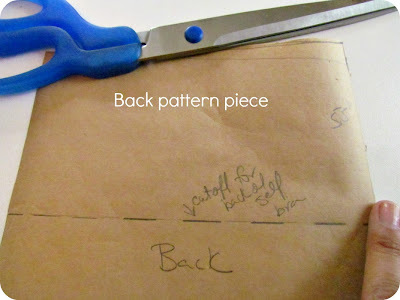 Cut a piece that is a comfortable length and sew together by overlapping the ends. 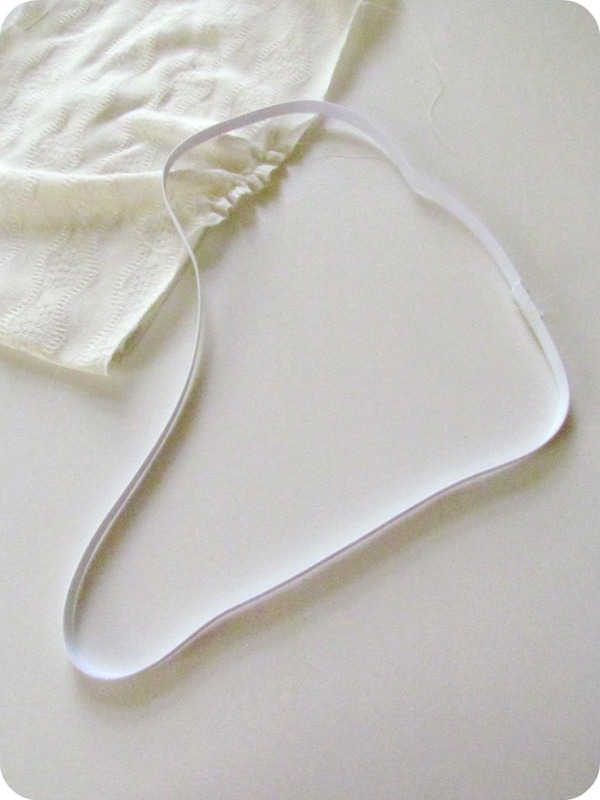 You should end up with a loop of elastic (that isn't twisted). 6) Divide your loop of elastic in quarters. The easiet way to do this is the pull the sewn piece to one end and mark the other end with a pin. Now, bring the two pins together and pin the other ends. Now you have marked off quarters. Do the same with the bottom of your bralet. Now, match up your pins and pin your elastic to the bralet, having edges even. 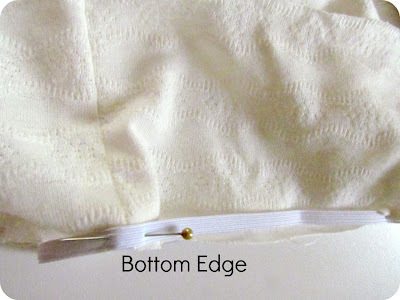 Make sure you elastic is on the right side of your fabric. 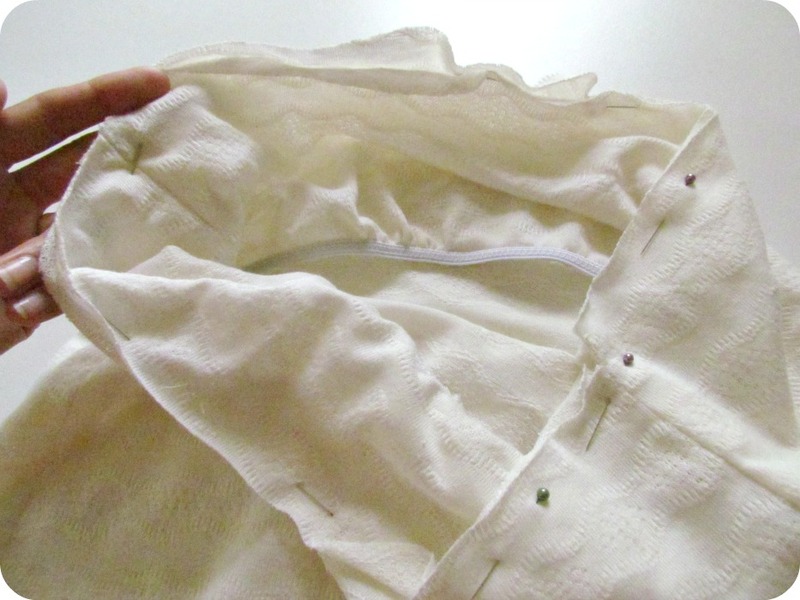 7) Using a narrow seam allowance, sew your elastic down, pulling as you go making sure it's somewhat even. 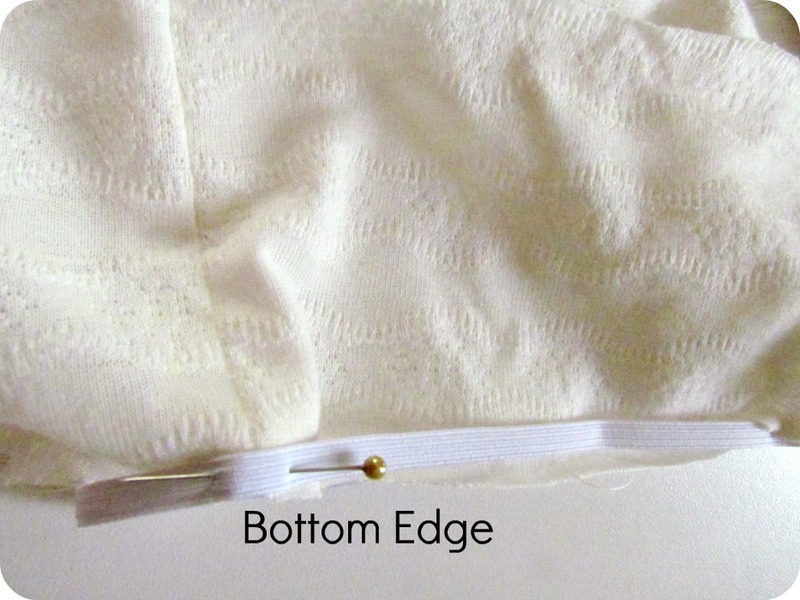 You can use a zigzag and stitch over the inside edge. 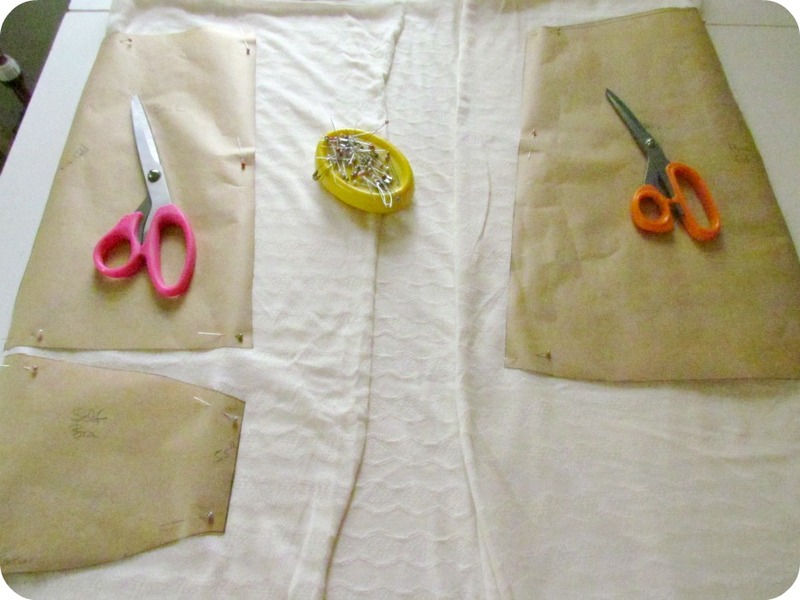 8) Now we're going to make the body of your top. 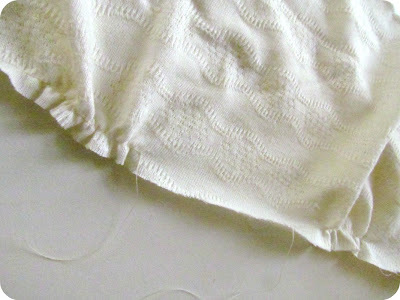 Start the same was as the bralet by sewing the front and back together along the side seams. 9) All right, it's coming together! We're almost there. 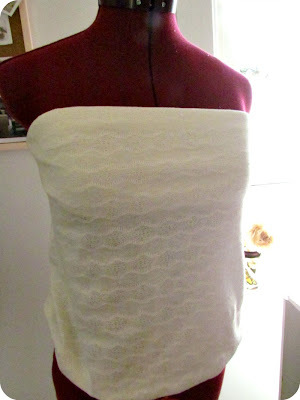 Now, slip the bralet inside of the bodice, WRONG sides together. Pin the upper edge so it's even all the way around. You can baste this edge if you want now. 10) Using your 1" waist band/wide elastic, cut a piece that fits comfortably around the top of your chest area. 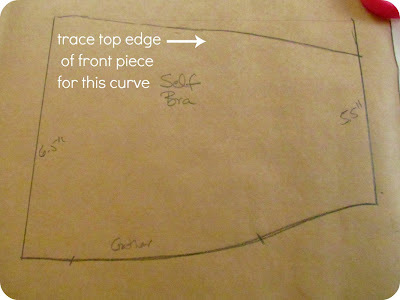 Follow the same steps to adhere this to the top of your bodice as we did to the bottom of the bralet. 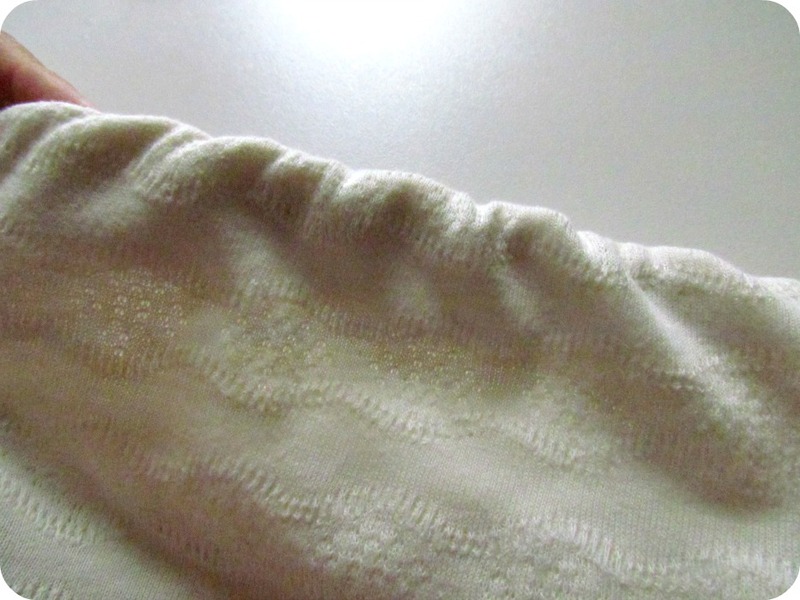 11) Once you have your elastic sewn onto the top edge you just fold it under and press. This is what give you the seamless look rather than a casing and it's what makes this top special! 12) If you want a blousy look for your top, just sew a small casing along the bottom edge, insert elastic, and close. 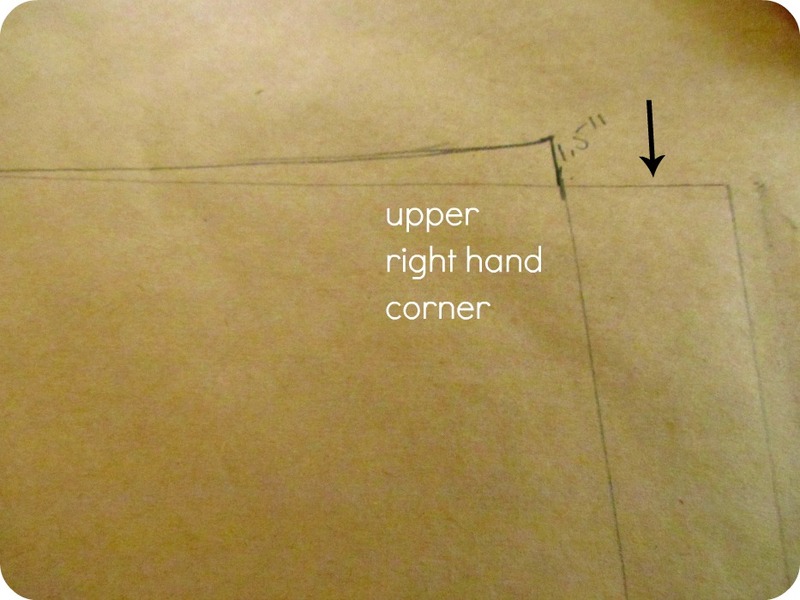 Measure the elastic to fit loosely around your hips. Don't make the loop like we did before. 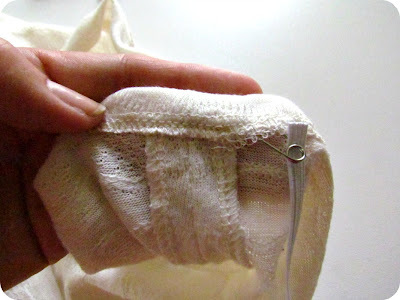 Just use a safety pin and feed it into the casing, stitch the ends together, and then close the casing. I know what you're saying. "Uh Tamara...that's only one piece! Where's the bottom?!?!" Guess what...you already know how to do it. Just click your heels three times and say there's no place like home. Oh wait, sorry, that's something else. I have a hair appointment tomorrow and I need your help! I've been growing out my bangs all summer. No reason, I just was able to get past the awkward stage and felt like I should keep going. I'm not sure though....should I get bangs tomorrow? That was an excellent bang day. What do you think? To bang or not to bang!?!?!?!?!? They're super cute right?!? You can check out the tutorial from To Die for DIY or you can just wing it like I did. I couldn't remember which board I pinned the project onto so I was just going from memory. At first I was going to use a doily but it looked too much like a spider web to me so I quickly switched to some stretch lace. 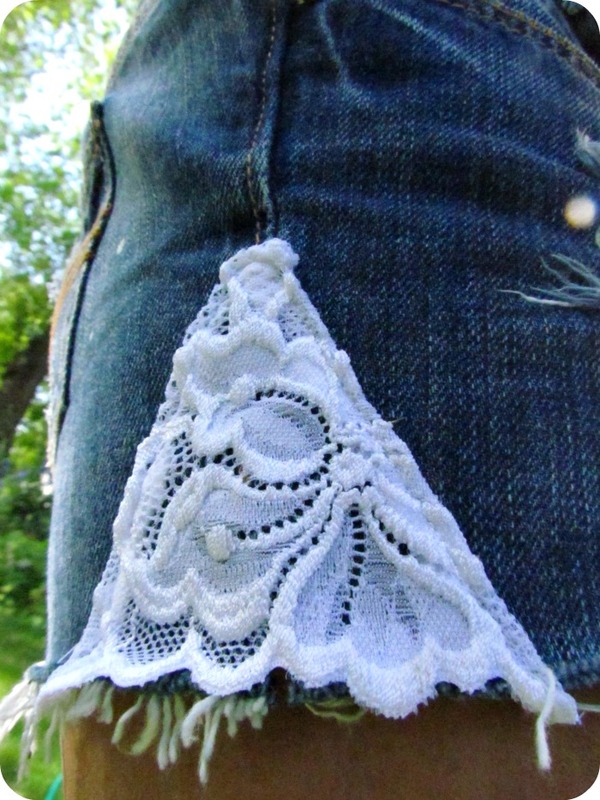 I just clipped a triangle and sewed it on. I didn't even cut away the jeans underneath. Maybe later, I'm not sure yet. 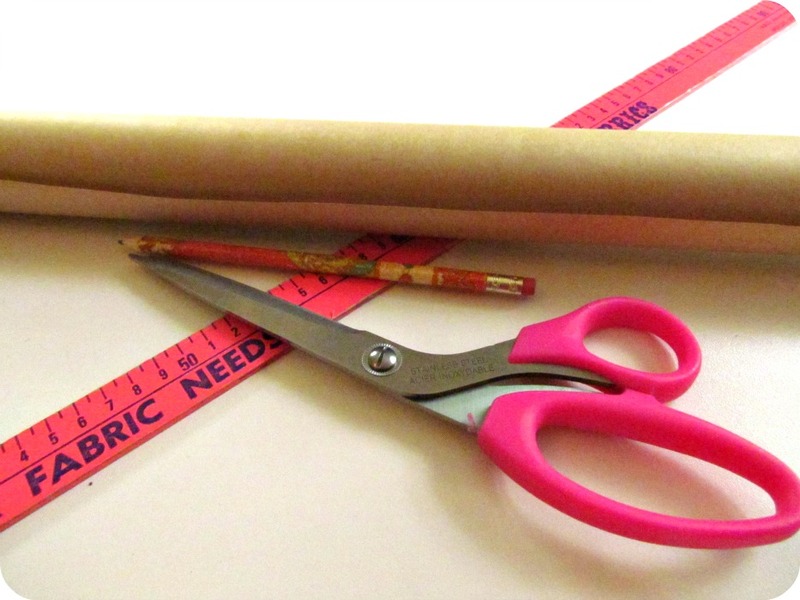 It's a super easy project that will get you lot's of compliments like "Those are so cute!". 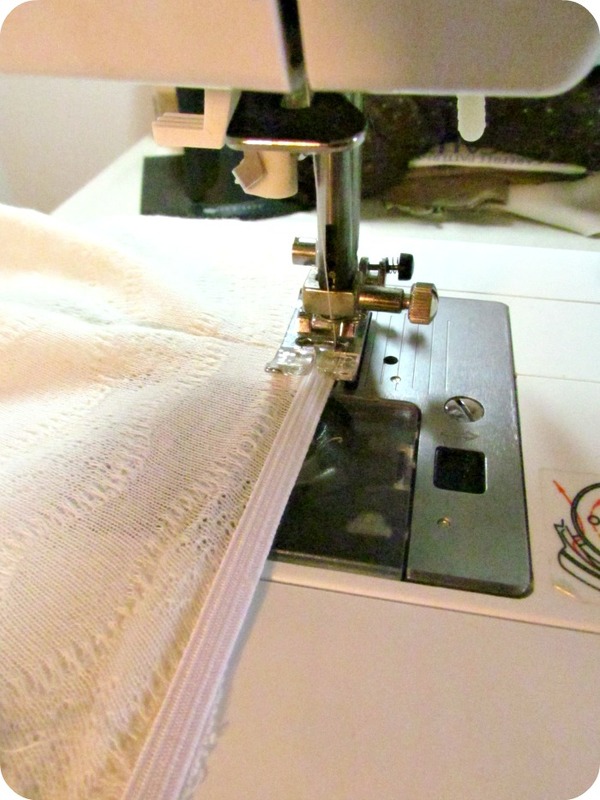 My tip for making cut-offs....I like to use a pair of jeans that are 1-2 sizes bigger than what I would normally wear and I cut them so that when they're folded the side bottom hem is straight. If you try to cut them flat with the front facing up you'll get some pretty wonky looking cut-offs when you put them on. Thanks for another great party last week everyone! I hope you visited some of your fellow bloggers. 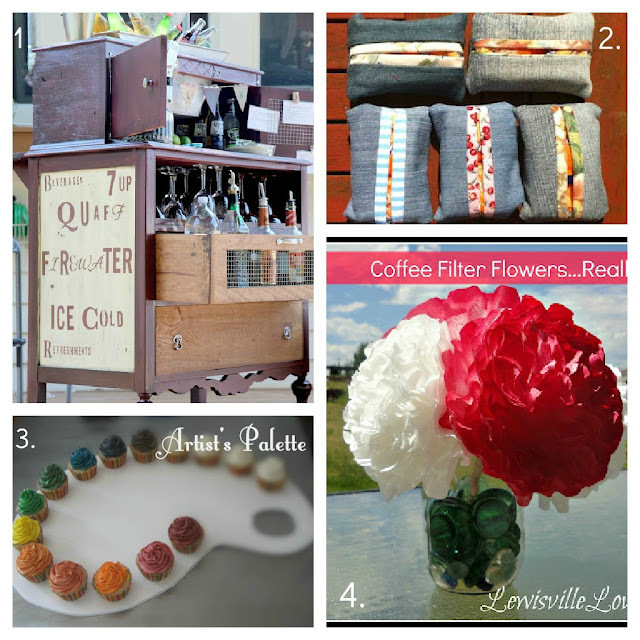 Here are a few examples of the great projects that were shared. 1. You have to visit Bliss Ranch to see the amazing make-over she did with an old dresser. It's beyond amazing! 2. Sewing for Utange is a wonderful blog that is rasing money for children in Kenya. The first time I came across this website I had tears rolling down my face. It's so wonderful to see someone using their talents for the greater good. 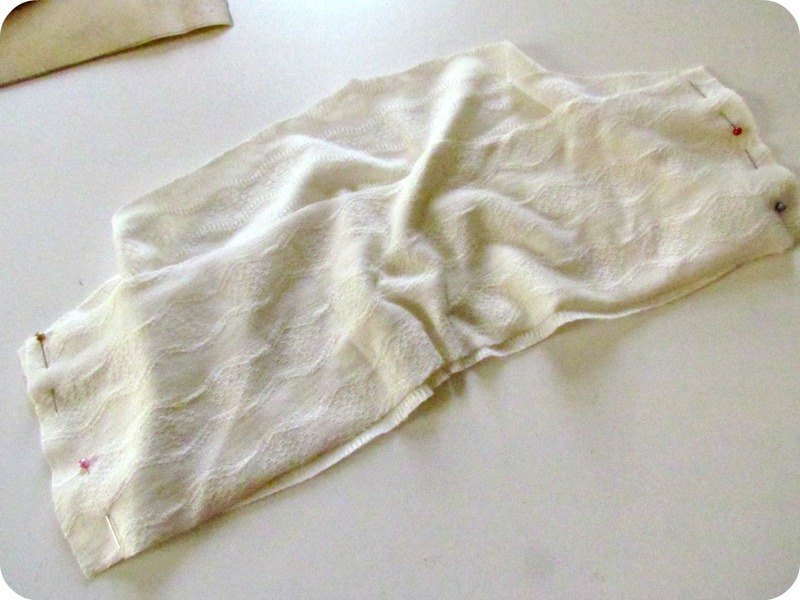 The cute little tissue cases are just one of many projects that will help. 3. Sweet Boutique held what looked like a super fun birthday party! The theme was "Artsy Fartsy". There are so many awesome ideas in this one post, if you have a party coming up you need to check it out. 4. I've seen a lot of tissue/coffee filter flowers out there but have you ever seen any that look this real?!? Visit Lewisville Love to see how she did it. Now for this week! I can't wait to see what other amazingly creative projects you've all come up with! Did you take the time to read the post above? Did you link to the right party? I had to delete 3 projects last week that didn't follow the guidelines! Yikes. Don't let your project be one of them.